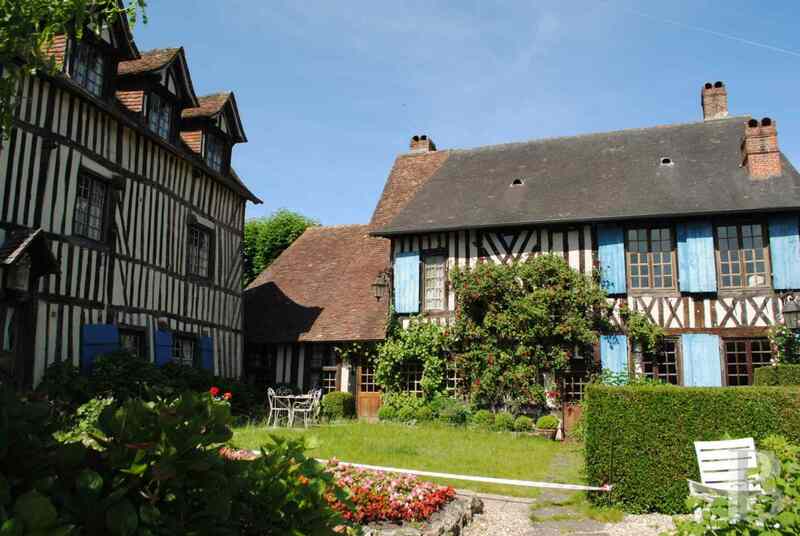 Two typical, 17th century townhouses in one of Normandy’s tourist villages 160 km from Paris - property for sale France - in Normandie, Bretagne, North, Perche - Patrice Besse Castles and Mansions of France is a Paris based real-estate agency specialised in the sale of Residences. 165 km from Paris. The nearest SNCF train station is in Bernay, 25 km away. Deauville, its seaside and its airport are 40 km away. This residence stands 300 m from the historic centre of a town, with some 9,000 inhabitants, all shops and amenities. 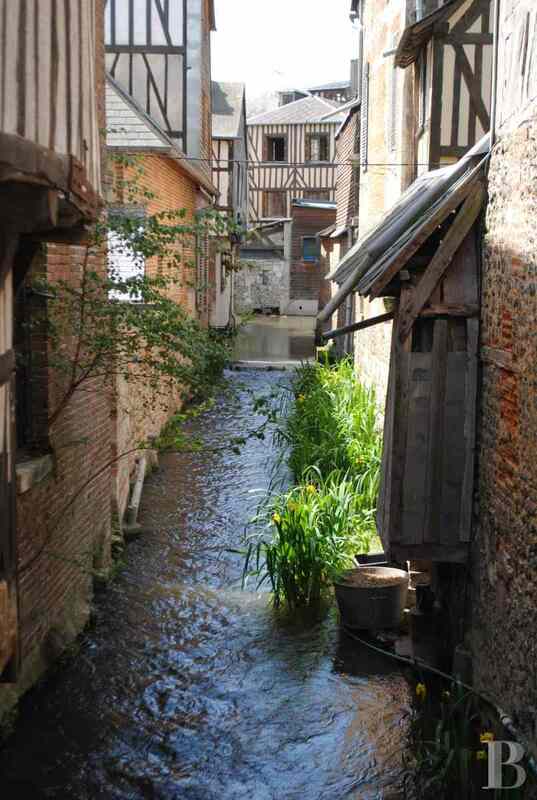 With its narrow medieval streets, its half-timbered houses, its canals crossed by little bridges, its wash-houses dating from the last century and the tanners’ old curing sheds, this town is well worthy of its reputation. 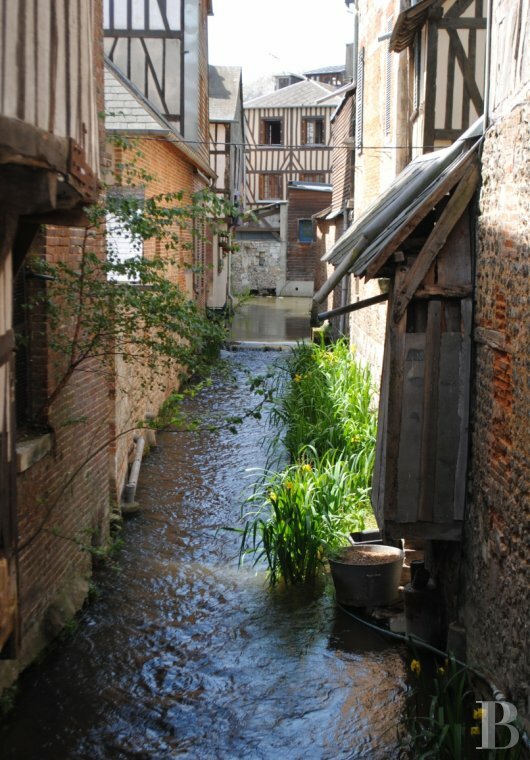 It is part of the Norman Seine River Meanders Regional Nature Park. 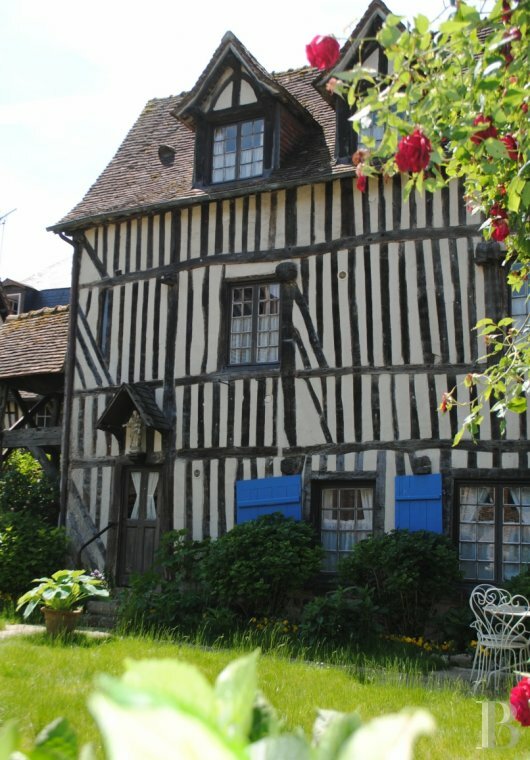 Both 17th century residences are set in a tourist district, most probably the oldest in the town. Several houses dating from the same period, with small gardens, overlook an interior courtyard. The two buildings form an L-shape and are totally independent, hence the possibility of a project involving the running of a shop, holiday rental accommodation units or a bed & breakfast activity. 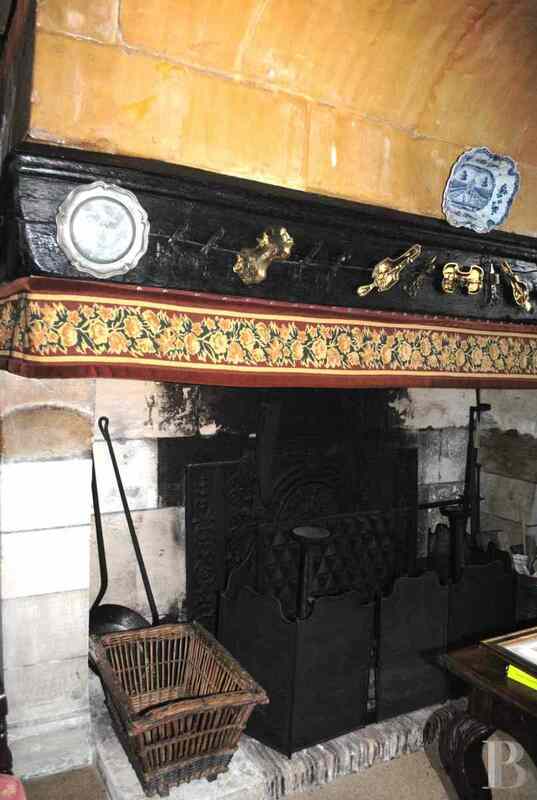 It was once the site of a famous inn which remains a centre of interest for visiting history buffs. The facade of one of the residences is on the street. The other is at the back. 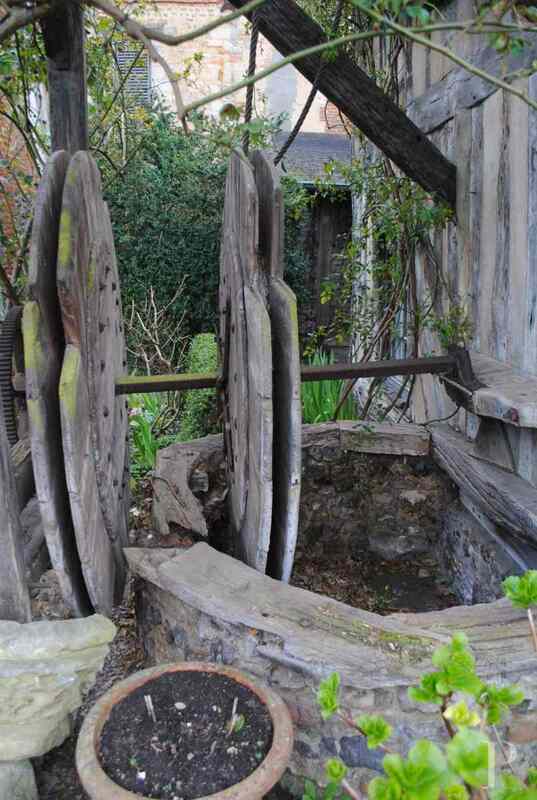 An old well and a woodshed adorn the small, flower-filled, private garden. 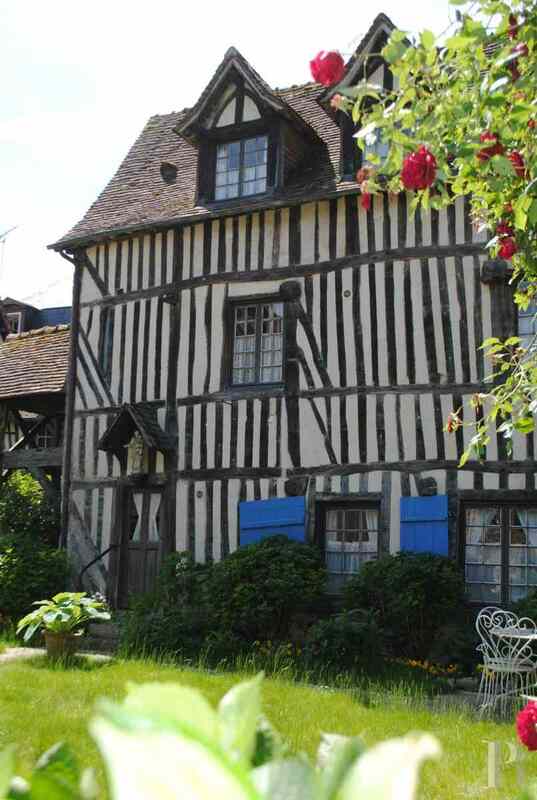 Most probably constructed in 1600, its half-timbered facades feature small openings. The hip roof is covered with old tiles, just like that of the other residence. The inside is still in its original condition with floors covered with flint paving or old terracotta tiles. The ceilings are decorated with exposed beams. 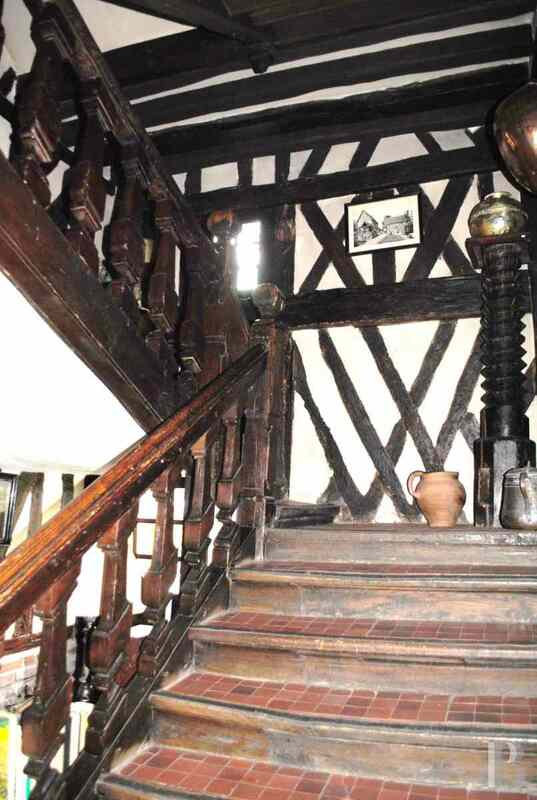 The half-timbering of the interior walls is also exposed. A long entrance hall provides access to a room, a dining room, a vast lounge, a kitchen with a door to the garden, as well as a guest toilet and a recent shower room. 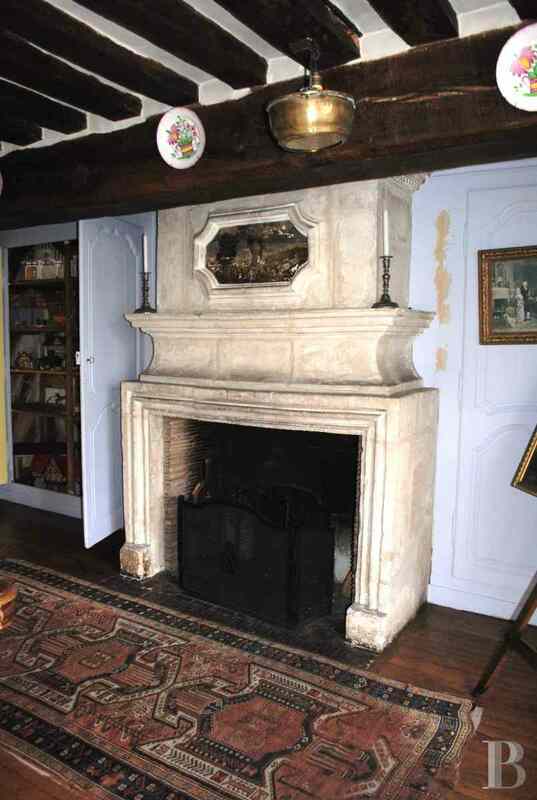 There are many decorative features such as monumental fireplaces, wainscoting and exposed ceiling beams. A superb stairway goes upstairs. A door leads to the cellars on the ground floor, with miscellaneous storage areas. The layout on this level is almost identical to that of the ground floor, with two bedrooms, one of which is particularly large and could be divided. 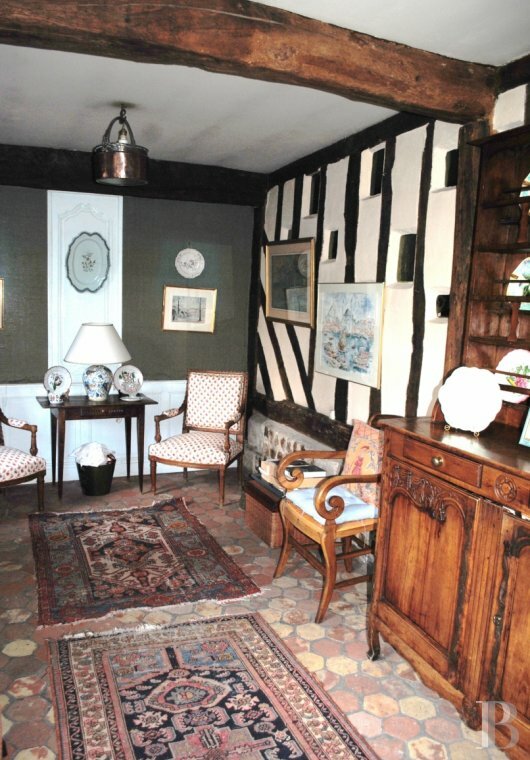 There is parquet flooring throughout. 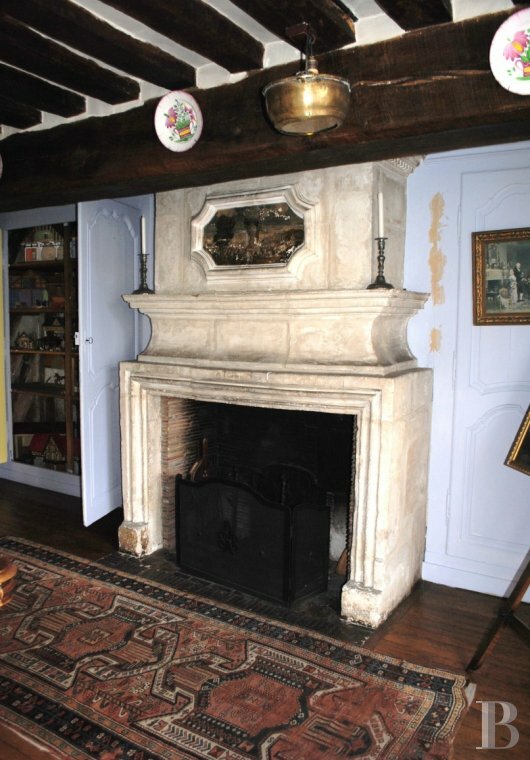 The walls are adorned with wainscoting and fireplaces complete the decor. 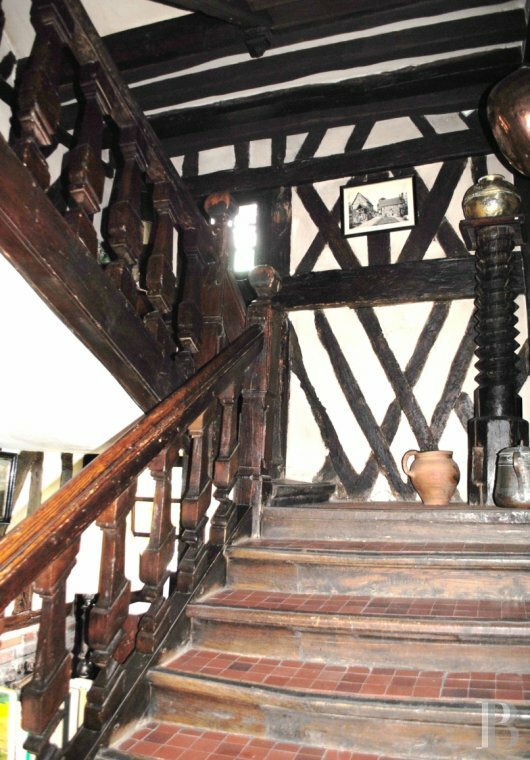 An attic, spanning the full length of the residence, awaits restoration. This second house has a very similar layout to that of the main residence. Two levels of the building comprise seven bedrooms, with three shower rooms and a bathroom. The rest awaits reorganisation. Both these residences are extremely attractive. 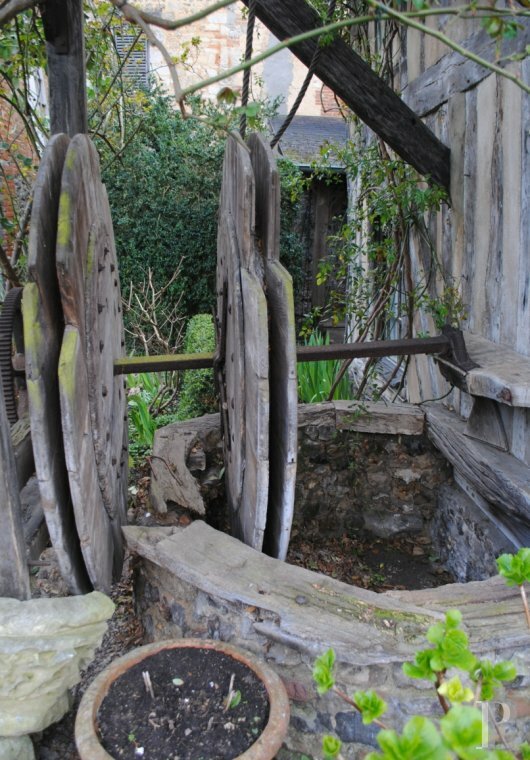 They are some of the key exhibits of an architectural feature that attracts tourists. 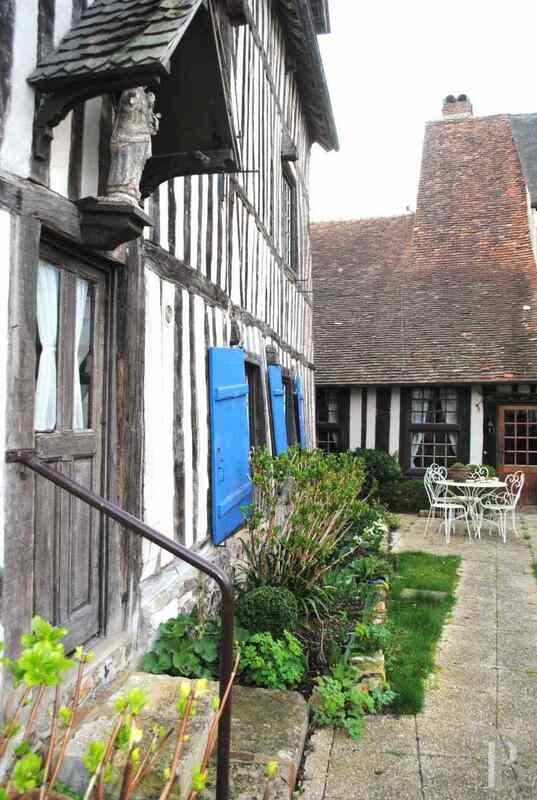 The authenticity of the premises, so close to the sea, could make it very tempting to live in one of Normandy’s half-timbered houses and to run some form of a business. 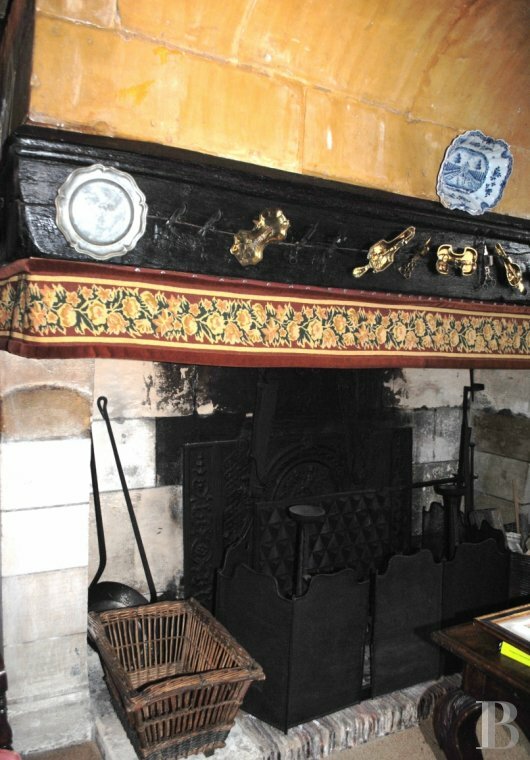 All the old decorative features are robust, making renovation works well worth the effort under the watchful eye of the little Virgin with Child, set on corbelling attached to the lintel of a window.